Moderate plus breast implants are a half-step compromise between traditional moderate profile implants and popular new high profile implants. The moderate plus profile is perfect for women who want a bit more projection than is typically provided by a moderate profile, but not as much projection as is found with the high profile shell. Moderate plus implants are made by most major prosthetic manufacturers and have found themselves to be in rising demand, as more and more women realize the custom fit they can provide. Moderate plus describes the distance the implant will project off the chest wall, once surgically placed inside the breast. This is a measure of depth or height, rather than diameter. 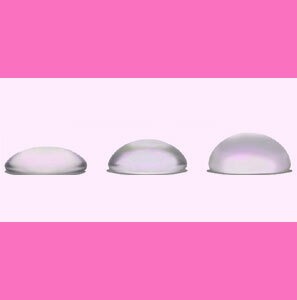 Moderate plus shells will project farther off the chest than identical volume moderate implants. This breast implant profile is a great choice for women who might be a bit narrower than average in their chest width, but still want a full and projecting breast contour. For average framed women, the moderate profile is still the industry standard. 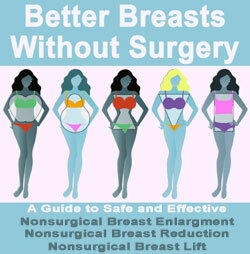 Wider framed women might consider low profile breast implants to create a proportionate shape and size for their body. Tiny framed women and those who prefer maximum projection are advised to look into high profile shells as the implant of choice. Choosing the correct breast implant profile is a very crucial decision. An incorrectly sized profile will not create a natural look and might even contribute to implant wrinkling in the outer shell. The implant diameter should always be less then the base diameter of the natural organic breast mound. Remember that profile does not change the size of the implant, merely the projection. A moderate plus shell will be narrower at the base and taller than an identically sized moderate or low profile shell. However, it will be wider at the base and not as tall as an identically sized high profile implant. Talk to your cosmetic surgeon for help in choosing the breast implants which will work best to fulfill your body image expectations.